Just 39 percent of workers tried to negotiate a higher salary during their last job offer, according to a survey by staffing firm Robert Half. The firm surveyed professionals in 27 U.S. cities and found that those in New York, Dallas, and San Francisco were most likely to negotiate their salary. Men were more likely than women to do so, at 46 percent and 34 percent, respectively. A recent survey of nearly 3,000 professionals conducted by LinkedIn found that half (49 percent) of workers feel stressed in their jobs. Workers cited several different drivers of stress, but one in particular stood out as a key source of stress among the majority. Seventy percent of those surveyed said workload or difficulty finding work-life balance was the biggest cause of stress. This was true across the board, regardless of age, gender, or seniority. 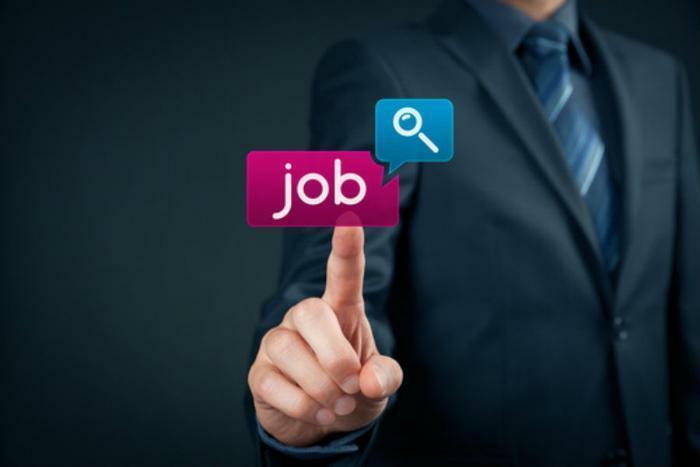 Jobs site Careerbuilder recently released a survey suggesting more employees will be looking for a new job in 2016. If you plan to be one of them, what kind of job should you look for? Another employment site, Glassdoor.com, has released a list of what it says will be the 25 best jobs in America in 2016. The best position, according to the survey, is data scientist, with an estimated 1,736 job openings and a base salary of $116,840. Number two on the list is tax manager. Glassdoor predicts 1,574 job openings for that job with a median base salary of $108,000. In third place is solutions architect, with 2,906 job openings and a median base pay of $119,500. Other occupations in the top 10 include engagement manager, mobile developer, HR manager, physician assistant, product manager, software engineer, and audit manager. What's at the bottom of the list? Software engineer comes in at number 25. It's still a pretty good job. According to Glassdoor, it pays a median base salary of $130,000 – but is highly competitive, since Glassdoor counts only 653 openings. The Careerbuilder survey found that 21% of employees were determined to leave their current employers in 2016, an increase of 5% from those who expressed that sentiment in the 2014 survey. Younger workers expressed the strongest desire to make a move. Of the 18 to 34 age group, 30% said they expect to have a new job by the end of 2016, compared to 23% the previous year. Submitted by SAVE Have you ever answered a vague but very attractive help wanted ad and come down for the interview only to find out it's not a job ad at all, but instead is a "business opportunity" they have to take an hour or so to sell to you? Good news for various Texas entrepreneurs: yesterday the state House of Representatives voted unanimously in favor of HB 2717, to deregulate businesses which teach or perform the art of traditional African hairbraiding. Texas law sets strict regulations on barbers and cosmetologists, primarily on safety grounds: those trades require (among other things) the use of sharp tools and potentially dangerous chemicals. 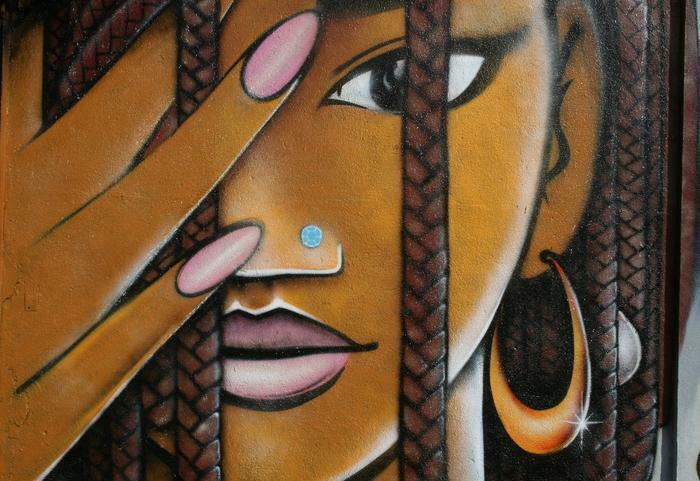 Braiding hair does not, yet in 2007, when the state started regulating hairbraiders and teachers of the art, it mandated that they meet the same licensing requirements as barbers or cosmetologists. Brantley spent years challenging the legal hairbraiding restrictions in court, and in 2007, the state modified the requirements somewhat: henceforth, hairbraiders seeking a license would only have to show 35 hours of formal training rather than 1,500 hours, and Brantley specifically was “grandfathered in” and granted a braiding license. So she won the right to legally braid hair, but when she tried opening a school to give others the 35 hours of instruction they'd need to become legally licensed hairbraiders, the state told her that a braiding school would have to meet the same standards as a barber school. That “fully equipped” barber college would have to include barber chairs and hair-washing stations, neither of which are required to braid hair. During that trial Arif Panju, the Institute For Justice attorney who represented Brantley in her court battle, noted that the state couldn't identify a single hairbraiding school capable of meeting those strict barber-school requirements. Since the U.S. economy bottomed at the end of the Great Recession in the third quarter of 2009, it has failed to generate much of a rebound. There have been only 4 quarters where economic growth exceeded 4%. There have been 2 quarters of negative growth and 2 quarters when there was barely any growth at all. One of those was the just-ended first quarter of 2015, when the government reported this week that the economy grew by a measly 0.2%. This, in spite of retail gasoline prices around $2 a gallon for months. A new report from Bank of America may help explain why. In its annual small business survey, the bank asked small business owners if they believe they have recovered from the Great Recession. Only 21% said that they had. Since millions of Americans work for small businesses – defined as those that employ fewer than 500 people -- it might help explain why consumers in general have been struggling since the financial crisis nearly 7 years ago. The report found that the people who own small businesses have been working longer hours, forgoing raises for their employees and delaying their own compensation as they focus on rebuilding their businesses and rewarding repeat customers. If employees are going longer without increases in compensation, it may be small consolation that the owner is doing the same thing. But according to the survey 67% of small business owners said they would rather delay or reduce their own compensation than take any other course of action to make ends meet. In fact, more than half said they have either never given themselves a raise, or haven’t done so in more than 2 years. In order to keep their businesses going, 85% of small business owners work more than 40 hours per week on average. Thirty percent of respondents work more than 60 hours per week on average. There are jobs available at many small businesses but owners often struggle to come up with salaries that are able to attract the people they need. Forty-five percent of owners said prospective employees declined job offers because the salary was too low. Hiring expectations, meanwhile, are moving in the wrong direction. The Bank of America report found 46% of small business owners plan to hire additional employees over the next 12 months, down from 52% a year ago. Again, one reason cited for the decline is the inability to offer a competitive wage. The National Federation of Independent Businesses (NFIB) has noted a similar trend. In March it found a 2 point decline in the number of small businesses planning to create new jobs. With an estimated 150 million Americans working for small businesses, when a small business struggles, so do consumers. The unemployment rate has dropped significantly in the last couple of years, but the economy is still barely growing. Could it be because, even though more people are working, they aren't earning what they once did? There has been a huge increase in the number of temporary and contract employees – partly because of competition for skilled workers and partly because temporary workers, who aren't receiving benefits, allow companies to be more flexible. Employment site CareerBuilder and its economic modeling subsidiary Emsi have conducted research showing that more companies are moving toward a temporary workforce. Their findings project temporary employment will add 173,478 jobs from 2016 to 2018 – an increase of 5.9%. To create the report, researchers pulled data from more than 100 national and state employment resources. Kyle Braun, President of CareerBuilder’s Staffing and Recruiting Group, says there are already some three million people in the temporary workforce, with that number growing at a healthy pace over the next few years. “Opportunities are opening up in a variety of occupations and pay levels, and this is a trend we’re seeing in a wide range of industries and company sizes,” Braun said. Some jobs and some industries are better suited to temporary work than others. CareerBuilder said there are hundreds of thousands of available temporary jobs that pay more than $15 an hour. In CareerBuilder's rankings, software developers stand to earn the highest wages in the temporary workforce, at a median pay of $46.72 an hour. It says there are currently more than 14,000 job openings in that category. But some traditionally salaried jobs are also trending toward temporary positions. For example, CareerBuilder says there are currently more than 42,000 temporary positions for registered nurses, paying a median $33.28 an hour. Even some traditionally union jobs have transitioned to temporary positions. There are currently more than 21,000 openings for temporary machinists, paying $19.38 an hour. Other temporary occupations paying more than $15 an hour include truck drivers, bookkeepers, administrative assistants, computer support personnel, construction workers, and human resource specialists. Last December, CareerBuilder commissioned a Harris Poll which showed that 47% of employers planned to hire temporary personnel at some point in 2016, up slightly from the year before. But 58% said at least some of those temporary or contract workers would be transitioned into full-time, permanent positions in the future. For any number of reasons a growing number of people prefer to work from home, rather than report to an office each day. If you are one of those people, your chances of being able to do that are better if you work for a large company rather than a small or mid-sized one. A new survey by Accountemps, a temporary staffing firm, interviewed chief financial officers (CFO) at a wide variety of companies. It found that 68% of the CFOs at companies with 1,000 or more employees reported an increase in work-from-home and other remote work opportunities. But only 34% of CFOs at firms with 20 to 49 employees reported an increase in these remote work opportunities. There are many benefits for employees when they can work from home. They save on commuting costs and can be present when children get home from school. But what's the motivation for businesses? The survey suggests the main reason companies do it is to please valued employees. And the survey suggests that large companies care about this more than small ones. 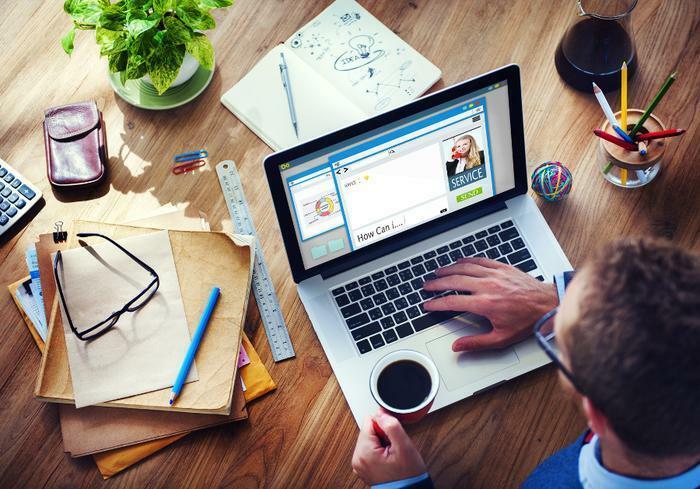 Among companies offering remote work arrangements, higher morale and retention were mentioned most as the reason allowing employees to work away from the office. Companies also see it as good business, with 28% believing it improves productivity. In the past companies were slow to adopt remote work arrangements on the assumption that employees would be unproductive if not supervised by a hovering boss in an office environment. It turns out that's not true. A study published last year in the Harvard Business Review followed an experiment at a call center operated by Ctrip, a Chinese travel website. Some employees were given the option of working from home and the results were surprising. The Accountemps survey seems to back that up. The CFOs at companies providing remote work opportunities were asked what benefits, if any, that had seen. By far the most common answer was that it improves employee retention and morale by promoting a better work-life balance. Driscoll says other advantages to a business include cost savings on office space, the ability to tap into talent in different geographical areas and time zones, and more around-the-clock client service. The Consumer Financial Protection Bureau (CFPB) has taken action against two of the country's largest background screening companies, saying they failed to ensure that the information they provided about job applicants was accurate. 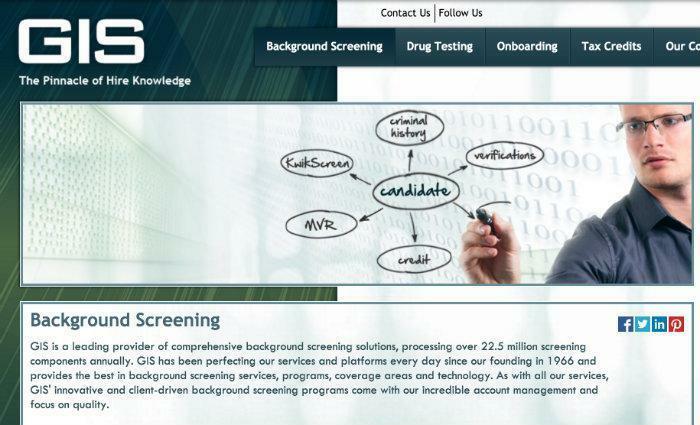 The "serious inaccuracies" reported by General Information Services and its affiliate, e-Background-checks.com, Inc. (BGC), potentially affected consumers’ eligibility for employment and caused harm to their reputations. The CFPB is ordering the companies to correct their practices, provide $10.5 million in relief to harmed consumers, and pay a $2.5 million civil penalty. GIS and its affiliate, BGC, collectively generate and sell more than 10 million consumer reports about job applicants each year to prospective employers. These consumer reports include criminal history information and civil records, among other types of data. Employers use the consumer reports to determine hiring eligibility of applicants and make other types of employment decisions. The companies are two of the largest background screening report providers in the United States. GIS is headquartered in Chapin, S.C., and BGC is headquartered in Dallas, Texas. The CFPB found that GIS and BGC violated the Fair Credit Reporting Act by, among other things, failing to employ reasonable procedures to assure the maximum possible accuracy of the information contained in reports provided to consumers’ potential employers. When building a resume, job seekers are often quick to note their ability to multitask. But while it might seem like your ability to juggle multiple tasks would be a valuable asset, you may want to hold off on listing it as a skill. Employers aren’t as interested in effort as they are outcome, says Anne Grinols, assistant dean for faculty development and college initiatives in Baylor’s Hankamer School of Business. And multitasking is more effort-based than outcome-centric. Grinols, who teaches in Baylor’s MBA program, has published research on multitasking, including three myths of the so-called "skill." There are two means of accomplishment, she explains: conscious and unconscious. The subconscious -- or "autopilot," as she describes it -- does take care of some activity, but it doesn’t get the same proactive attention as conscious accomplishment. Take long-distance driving, for example. Grinols explains that long-distance drivers can begin to think about other things, paying less attention to the road than the other drivers. And as a result, their driving suffers. Conscious mental activity, on the other hand, happens one activity at a time. A student texting during a lecture or an employee texting during a meeting are both examples of conscious mental activity, she says. In both cases, the information being taught or discussed will be lost to the one who is texting. Myth #2: People who go back and forth between mental activities can stay on top of them both. 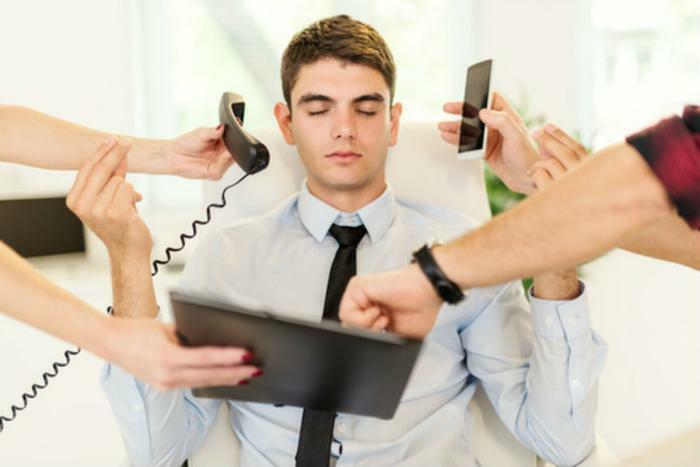 You might think you’re accomplishing more than others by focusing on multiple things at a time, but employers may view multitasking as a negative. Grinols believes this is because efforts to multitask can yield unfortunate results, such as poor outcomes and employee burnout. Similarly, if your current task is to develop a new strategy to accomplish a goal while also participating in a team meeting, don’t start thinking about the strategy as you sit in the meeting. Your active participation in the meeting will suffer, says Grinols. “You must focus on each one separately to be able to succeed at an optimal level at both. 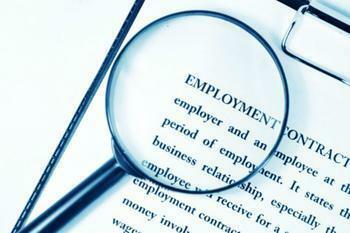 Employers expect optimal-level accomplishment,” Grinols said. 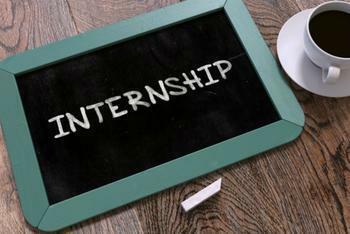 There's no question that having an internship gives a student a leg up when it comes to landing a job. A recent survey by the National Association of Colleges and Employers (NACE) proves it. In 2011, students who performed an internship were 12.6% more likely to land a job before graduation than those who didn't. By last year, the internship gap had grown to 20%. But just being an intern won't guarantee a real job, placement experts say. Interns who use the opportunity to separate themselves from the pack will stand the best chance. “Soon-to-be seniors are hoping to land the job offer before crossing the stage in May and performing well in an internship that matches your skills and interests can help make that happen,” said Patrick Sullivan, an internship specialist at Wake Forest University. Sullivan says it is important to perform well during the internship. It's even more important, he stresses, to make a memorable exit. Sullivan has three main pieces of advice. They start with being proactive. He suggests seeking out your supervisor before your internship ends. Tell him or her what you have learned, go over what you think has been a success, and most importantly, ask how you can improve your skills. Communication is also very important. Research shows when employers add staff, they look for people with initiative, flexibility, and good people skills. Find ways to demonstrate that you have those traits. One way is to be open and direct with your supervisor at all times. And when the internship is wrapping up, tell him or her you would like to join the organization. Don't assume that it is understood. Even if it was assumed, a supervisor likes to hear it said out loud. It's also important to keep up with the organization and in touch with mentors. Use LinkedIn to keep your professional experience up to date and follow everything the organization is doing. Sullivan suggests job seekers create and save a Google News search to follow industry trends. This shows recruiters you are serious about wanting to be part of the organization. Sullivan says it never hurts to end an internship with a handwritten note, thanking a manager and other colleagues who were helpful. In this digital, impersonal age, a handwritten note makes an impression. It's also a classy move, and Sullivan predicts that when it comes time to fill a full-time position, your note will be remembered. There are pros and cons to working as an independent contractor instead of an employee. But a new survey suggests workers see more cons than pros. Deloitte surveyed nearly 4,000 workers and found that 67% of those who had worked as an independent contractor would not do so again, if they could avoid it. More than 60% of those who are classified as employees said they would avoid working as a contractor, fearing a loss of stability, compensation, and benefits. The results are significant because, increasingly, companies prefer to hire people as independent contractors instead of employees, in a transition to the so-called “gig economy.” Deloitte says estimates indicate that the number of jobs filled by independent contractors will grow by 54 million by 2020. But companies may have to work harder to find these workers, according to Deloitte's results. There are, of course, advantages to being an independent contractor and most are connected to flexibility. You can work where and when you want. 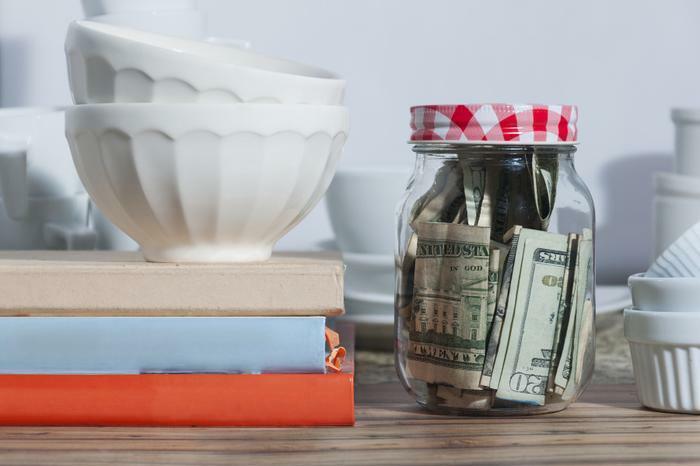 Over 40% of the people in the survey said they recognize that, but it isn't as important to them as having a paycheck every week with taxes deducted and medical and other benefits provided by an employer. The workers most leery of working as a contractor were those who most value a steady income. "In order to achieve business goals, organizations should look to attract all talent pools," said Mike Preston, chief talent officer at Deloitte. "Organizations should start thinking about the culture they have in place and the experiences they can design for contingent workers." There appears to be a generational breakdown at play in the numbers. Some workers value a connection to a company, if it has a desirable culture. Culture is most important for Millennials, followed by Gen-X. It's least important to Baby Boomers, who may be approaching retirement and thus are most open to working as an independent contractor. Despite the clear preference to be on a company payroll, more than a third of respondents in the survey said they would consider working as a contractor. Women are most open to it, citing the flexibility. Even so, the numbers show that when it comes to working independently, men are actually more likely to be working independently than women. 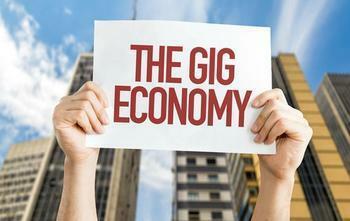 Being an independent contractor in the gig economy can come with its own pros and cons. While many like the flexibility of being able to work where and when they want, many more are wary to engage in a job that doesn’t give much stability or the generous benefits plan that many larger companies provide. Now, one company has taken steps towards providing its contract workers with some breathing room. In a new plan announced today, Care.com has said it will provide its caregivers $500 per year to use on health care, transportation, and education expenses. It marks one of the earliest company commitments towards providing contract workers with employee benefits in the gig economy. “Caregivers constitute one of the largest segments of the gig economy and the fastest growing large job category in our country. Caregivers frequently work for multiple families and almost always work without access to professional benefits,” said Sheila Marcelo, founder and chief executive of Care.com. The new plan stands in stark contrast to the support that many contract employees have enjoyed over the past few years. While several initiatives have been started to provide contract workers with benefits, more often than not they end up falling flat. Take, for instance, the attempt by the New York Taxi Workers Alliance. In 2012, a labor organization moved to have taxi medallion owners deduct six cents from every cab fare to fund portable health and disability insurance for drivers. It lasted for a little while, but the New York Supreme Court shut down the regulation in 2014. Cases like these tend to pervade the culture of the gig economy, so Care.com’s new plan may end up being influential towards similar causes. “We’re starting to see the first signs of life, where companies see it as in their interest to collect money for workers to get benefits. It’s a really important step,” said Sara Horowitz of the Freelancers Union. If you're a job seeker you already know that there exist plenty of scammers posing as employers in hopes of either stealing your identity, or cheating you out of what money you have. Is the workplace the new high school in terms of cliques? Ah, high school. School dances, weekend house parties and making friendships that you thought would last forever. Not to mention the football games, puppy love and the prospect of heading off to college or the work world. But for some, high school wasn't a happy time and a lot of that has to do with the cliques, or in-crowds, that were formed during those years.